The prophecy has been fulfilled! The day has come when mighty dragons seek new territory to claim as their own! Now, only the most courageous and just of leaders will be able forge a friendship between mankind and dragons. Step into the role of the steadfast and altruistic leader whose quest is to ensure the safety and prosperity of all people and creatures in the kingdom! In Kingdom Tales you will explore the land, gather, produce and trade resources, build and repair subjects' homes and community structures, and work to increase your subjects' level of happiness! 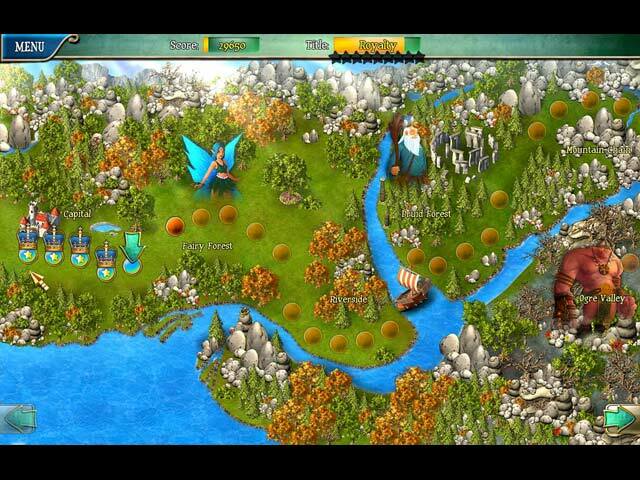 Along your journey, you will meet druids, forest fairies, trolls, dragons and other exciting creatures while racing against the clock to complete tasks in this gorgeous and fun time management and strategy game! Kingdom Tales is rated 4.3 out of 5 by 182. Rated 5 out of 5 by Freya06 from This is fun I'm loving this game; it's fun to play and you can take your time. As a senior, I don't need games that want you to rush and each round has something new and interesting. Rated 5 out of 5 by mjukisse from Challenge game I like this because it arnt as easy as you would belive so please try it and if you can reach full on every level, Im still try that and like the challenges a loot. I have buy the complete game to have a good time more then a little while. Rated 5 out of 5 by joannes0 from Great Game Challenging without being frustratingly difficult, great game play and a cute storyline. A big plus for me was being to play on relaxed mode. Rated 5 out of 5 by RinieH from Kingdom Tales I loved playing this game. It is challenging and you need to use initiative! I'll buy all the games in this series! Rated 5 out of 5 by mckeazer from Kingdom Tales - Fun. Great Story. Just found this gem of a game and LOVED it! The gameplay is great. The visuals are great. Story is wonderful. Most of all, it is FUN! 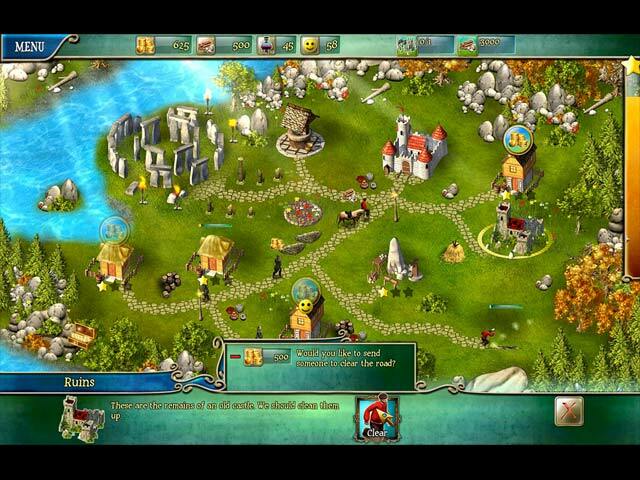 The only thing I would suggest and perhaps it has been addressed in Kingdom Tales 2, is that this game could be a bit more challenging. Maybe the addition of an Expert Mode or similar?? Now...on to Kingdom Tales 2. 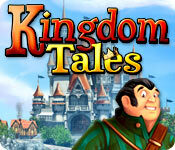 Rated 5 out of 5 by n7sg from Fun in the Kingdom Lots of fun. The rain with thunder and lightning was extra fun. New features almost every new level. Wish there was a speed up but I have not played it all yet so ??? All in all a fun game. Rated 5 out of 5 by mratts from Cute time management game Good balance of time pressure and variety in tasks. The storyline and artwork are appealing. You can be successful in your tasks without feeling like it was handed to you. Rated 5 out of 5 by 1960ravine from Kingdom Tales I have had this game for a couple of years and never played it until just recently. Totally enjoyed it, couldn't stop playing it even went and bought and downloaded Kingdom Tales 2.